On the eastern side of the Blue River valley where Breckenridge lies, on the flanks of Baldy Mountain is a neighborhood of single-family homes adapted to a landscape that undulates around them. 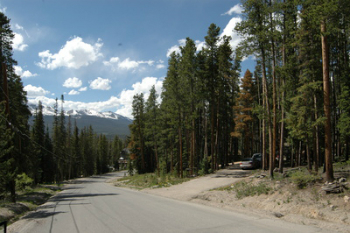 Trails lead up Baldy and down to town from these Breckenridge Heights homes for sale, which are diverse in age, architecture, size and shape. The Breck Heights subdivision was created in 1965, and nine lots were developed in that decade, followed by a flurry in the 70s, more construction in each succeeding decade, leaving only about 10 percent of the lots vacant today. Browse the Breckenridge Heights real estate listings found below, or read more about the homes in this sheltered, popular community. 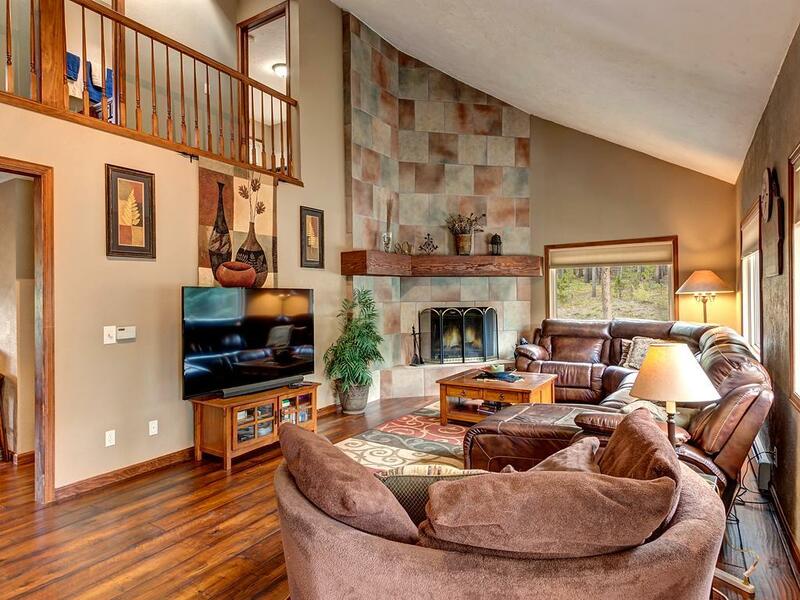 Many Breckenridge Heights homes are split into several levels and make use of the steep terrain so that every level has room for big windows and view. Footpaths or driveways might bridge elevation variations between the road and the home. Definitively mountain-homes, the styles vary and reflect the period when each was built. In Breck Heights, A-frames co-exist with dappled-stone chateaux. Every lot is more than one-half acre and some nearly two, but acreage isn’t what makes the homes in the Breck Heights community unique. The striking differences come from the lay of the land. Homes built on the north side of High Point have backyards that drop away abruptly toward French Gulch, while those on the other side of the road contend with a backyard that seems in a hurry to get to the height of Baldy Mountain. The views are as good as stadium seats, although trees in this densely forested neighborhood are the most likely obstacles. Several pockets of open space and numerous trails easements link any Breckenridge Heights home to the forest and to town. The walk to town is easy, but the return trip will be, obviously, uphill. Afternoon sun stays longer on the Heights than on the ski-slope side of the valley, and many Breck Heights homes have a choice view when Alpenglow colors the sky over the Tenmile Range. Size (sfla): 552 sq. ft. to 5872 sq. ft. Amenities: half-acre lots, wooded, paved main road, views, late afternoon sun, outside of city limits, access to trails. Breckenridge Heights sits on a steep and rolling hillside just east of Breckenridge, below Baldy Mountain Road and south of French Gulch. Drive east on Wellington Road for .5 mile, turn right on Royal Tiger and at the fork, three-tenths of a mile further, take the left and steep uphill option. Breckenridge Heights homes for sale may lie straight ahead on this road, High Point, or off to the right on or near Moonstone Road. Contact the Breckenridge real estate experts at Breckenridge Associates online or by phone at (970) 453-2200.